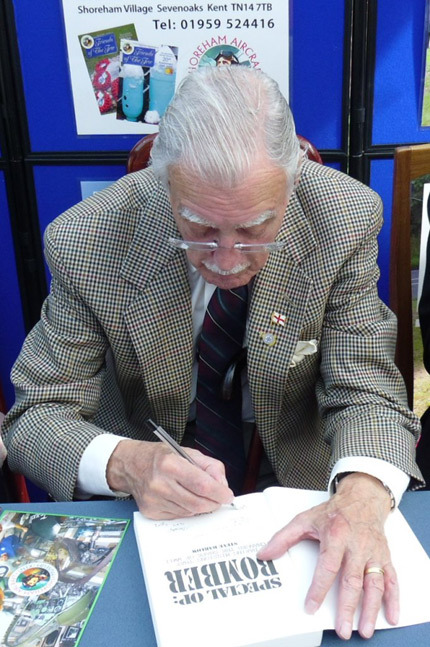 It was a fantastic delight to welcome six wonderful RAF Bomber Command veterans to the Museum on Sunday 25th September 2011, to help raise funds towards the planned Bomber Command Memorial due to be unveiled in Green Park, London, in May 2012. 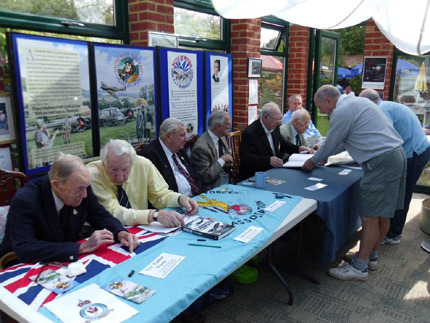 Attending the event (left to right) were veterans, Eric ‘Timber’ Woods, Tony Iveson, Joe Cook, Bob Woods, Sid Beaver and John Banfield. Thanks to their signing efforts, the terrific sum of £800 was raised along with an additional £100 in donations for the fund-raising wristbands. In total, the Museum has so far raised over £2,000 this season towards the Fund. You are currently browsing the Shoreham Aircraft Museum – News archives for September, 2011.